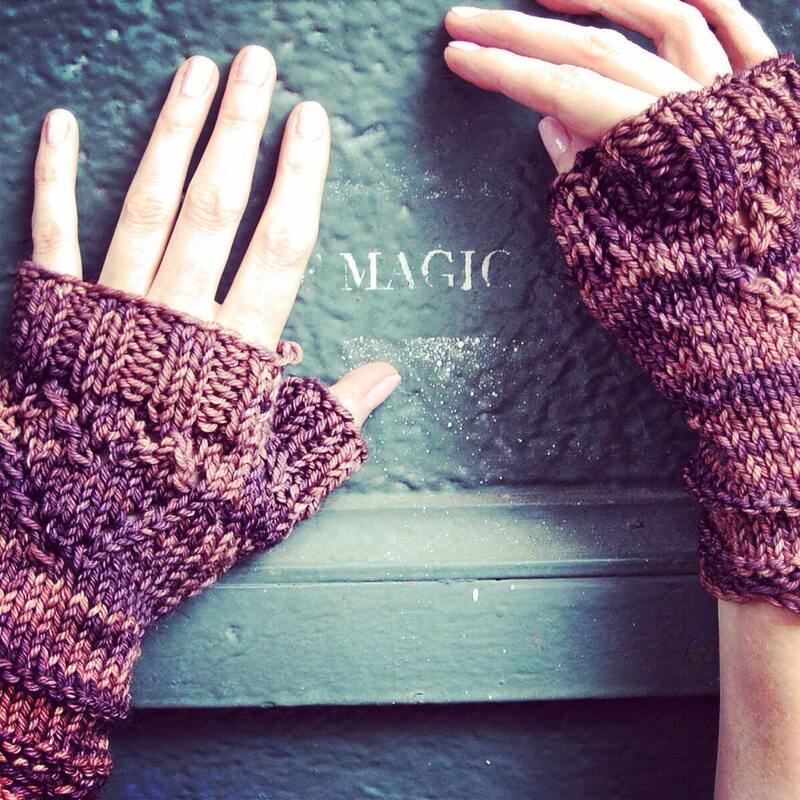 *HEART SERIES* Smokey orchid purple mitts for the heart that yearns to hop a train or jet to a mysterious destination. Details of eyelet and lace edging. A generous length and thumb provide warmth yet your fingers are free to produce your travel documents.